VMware vRealize Suite Lifecycle Manager is a fantastic product develop by VMware to simplify management of vRealize Suite components. vRealize Suite Lifecycle Manager (vRSLCM) automates Day 0 to Day 2 operations of the entire vRealize Suite, enabling simplified operational experience for customers. The vRealize Suite Lifecycle Manager automates install, configuration, upgrade, patch, configuration management, drift remediation and health from within a single pane of glass, thereby freeing IT Managers/Cloud admin resources to focus on business-critical initiatives, while improving time to value (TTV), reliability and consistency. vRSLCM simplifies and automates the installation of the complete vRealize Suite. Customers have the option to leverage either product based or solution based deployment models. Customers can also easily import their existing environment allowing it to be managed via vRSLCM and additionally with a single click can upgrade existing product to the latest product release. The installation or upgrade includes pre-checks and validation across the SDDC stack including compatibility, environment and entitlement checks. Installation into development, test and production environments and across all of your data centers can be completely managed by a single vRSLCM instance. vRSLCM will reduce the installation time of the vRealize Suite from days to hours. First you need to download the vRSLCM appliance, in OVA format from myvmware site. Here you can find a link. Deployment is straight through, give it a name, select compute resources ,storage which you will deploy the disks of ova and customize the deployment – configuring network details and so on. I’m deploying version 1.2.0 of Lifecycle Manager. 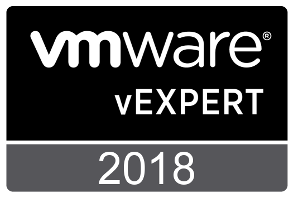 Latest version right now is 2.0.0 which come among this release of vRealize Suite 2018. We will use that to upgrade to latest version, during our lab. First thing you will see Home page of Lifecycle Manager. Before you can continue with operations on vRSLCM, first you need to create a datacenter and add a vCenter target. On left sidebar click on Data Centers icon and on Manage Data Centers tab – Click +Add Data Center. Give it a proper meaning Name and Location of data center. Then you need to add a vCenter target. Go to the Manage vCenter Servers tab and click on +Add vCenter Server. Next important thing are common settings, which can be found on Setting icon on the left sidebar. Here you can access and configure mostly of details about LCM. first we need to create a Certificate for all products which will be deployed under an environment. Go to Certificate tab on Settings, click ADD CERTIFICATE. Fill all the required field and then click Generate Certificate. After it generates, it will appear on screen and in right you can download this certificate as .pem file. This file can be taken to Certificate Authority for signing and can be made as a trusted certificate. You can use the CSR option to sign the certificate authority to make it as a trusted certificate after you download the PEM file. Next setting we have to configure the default administrator password and set passwords for root, and SSH users. So for that click Settings and click the System Settings tab and type new passwords for root, administrator, and SSH users. For deploying vRealize Suite solution first we need to have in place setup, ova files or iso needed to deploy solution. We have 3 methods here to provide and configure ova or iso files, which are called Product Binaries, under Settings menu. Click Add Binaries and select the location type. Select either Local or NFS to map to a downloaded product binary with products dependent on the product binary location, or select My VMware Downloads to map to product binary downloaded from My VMware. For local method, you have to put files inside vRSLCM appliance, under /data directory. Click Discover and then after they will be listed, check what product you want to add and click Add. If you would use NFS, which NFS represents the local where the OVA files are copied in the NFS shared drive, user should provide the NFS location in the format, NFS-IP:<nfs hostname/ip>:<folder path>/x/y/z. After you added these files succesfully, you will see them listed as above, ready to be used for installing new environment. You can also import an already existing environment into the vRSLCM and manage it. In that case maybe you don’t need the files for install.